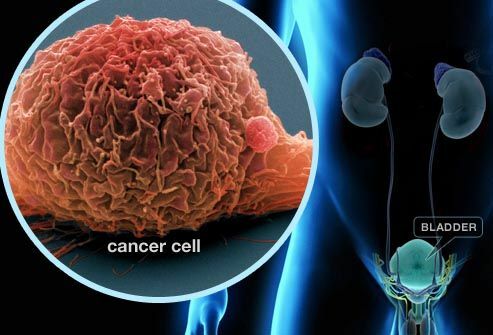 A University of Colorado Cancer Center study published in the journal PLoS ONE shows that bladder and lung cancers are marked by shared differences in the genetics that control the cell cycle. Measuring these genetic signatures could allow doctors to refine a patient’s prognosis, choose appropriate treatments, and perhaps offer new treatments that target these shared genetic abnormalities. “It’s exciting: the CU Cancer Center has internationally recognized expertise in these two cancers – lung and bladder – and with this study we were able to find what is effectively a common denominator between these two major tobacco-related cancers. We know that many cancers rush through the cell cycle to replicate themselves faster than does healthy tissue, and now we see that some of the same processes are at work in both bladder and lung cancers,” says Dan Theodorescu, MD, PhD, director of the CU Cancer Center and lead author of the study. Biomarkers are the differences between cancerous and healthy cells that allow researchers and doctors to diagnose, predict the course of, and - increasingly - treat cancers. But with about 40,000 genes in the human genome and far more steps between a gene and its expression as a protein, finding meaningful biomarkers is the proverbial search for a needle in a haystack. Traditionally, tissue samples from one cancer type are collected and then the genes in these samples are analyzed to see which, if any, are elevated, silenced or mutated. Unfortunately, despite the success of this approach in identifying candidate biomarkers, many biomarkers fail to stand up to further scrutiny – a gene that is elevated in a subset of 10 samples of, say, prostate cancer, may not be elevated in further cohorts of the same cancer. he current study reasoned that biomarkers present in not just one but two or more related but different cancers would likely be more robust than single-cancer biomarkers. Previous studies link lung and bladder with tobacco use - they have a common etiology. And so Theodorescu and postdoctoral fellow Garret Dancik, PhD, gathered hundreds of samples of these cancers to explore them for common causes (or at least common predictive markers). The question was this: with so many tumor samples matched with corresponding patient outcomes, could the researchers pinpoint what it was in these tumors that led to favorable or less good patient results? First, the researchers correlated gene expression to progression and survival in these samples, ending with a master list of all genes predictive of patient outcomes. Then they crossed these lists to look for commonalities between the cancers. Rather than single genes that predict outcomes in these cancer types, researchers found clusters or “modules” of adjusted genes, all under the umbrella of the network that controls the cell cycle. “This is important not just because we identified a signature that may be prognostic in bladder and lung cancers, but because the idea of considering a ‘module’ of genes related to a specific process - in this case, the cell cycle - may be useful in other cancers, ” Theodorescu says.